The Steepest Standard Gauge Mainline Railroad in the United States. Looking at the crest of the "hump" in Saluda. balance itself with the load split both sides going downhill! 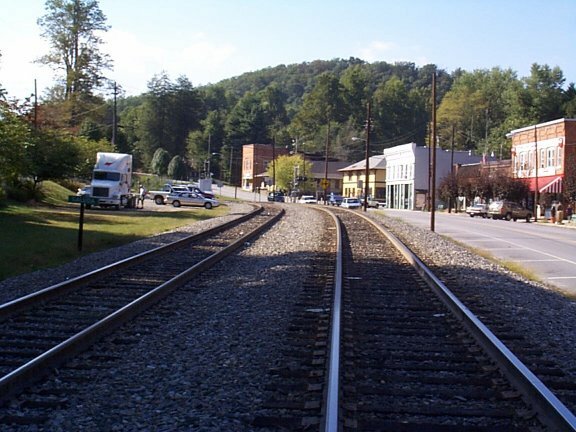 The Town of Saluda is visiable to the right.